Get ready two small saucepans. In one have together 1/2 of the squash and 1/2 of the apple – bring to a simmer, and simmer until just tender when pierced with a fork. In the other, add in the rest of the vegetables along with 1 cup of water – bring this to a rolling boil, reduce to a simmer, and simmer until very very tender. When very tender, remove the vegetables from the heat, and blend these vegetables together (without draining) with the Braggs, spices, sriracha and the additional 1/2 cup water. 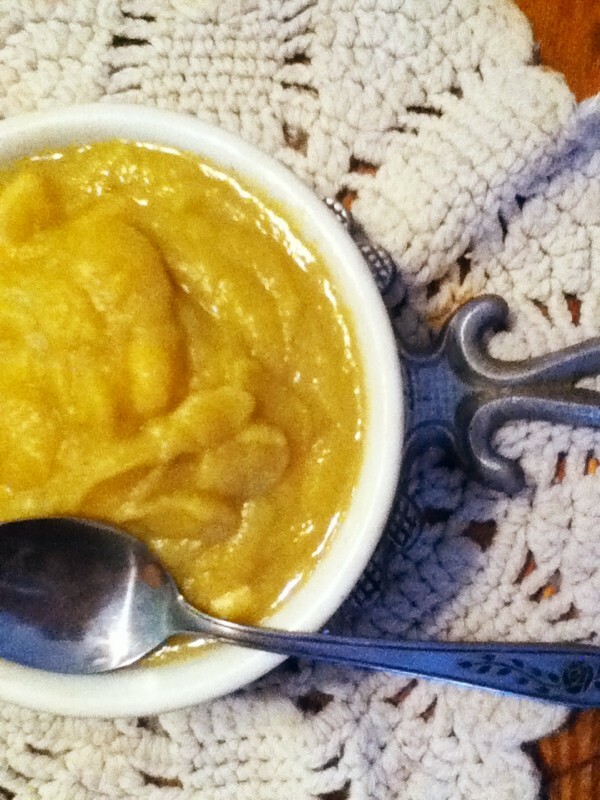 Mix the blended part of the soup with the simmered squash and apples. Mix in the cubed tofu, gently re-heat and serve. 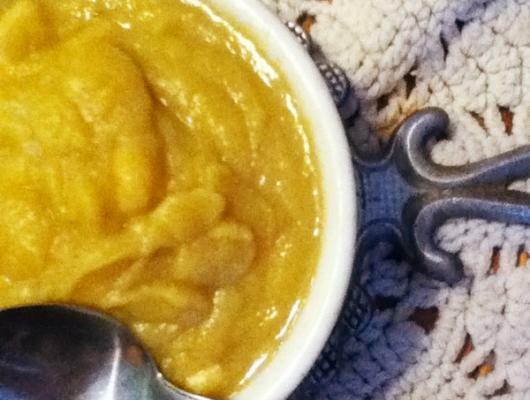 A delicious, thick and creamy soup, with no cream - a fat free, low calorie delight!